The Hybrid Summit is an annual event that has been running since 2017. Macau hosted in 2017, Thailand in 2018, and Hong Kong this year. The event is a networking and educational opportunity for investors, enthusiasts, and influencers in fintech and blockchain. Hybrid Summit is a one day event that has a focus on education. Mr. Malach’s presentation yesterday was centered around stablecoins and the convenience and efficiency of transferring funds to others using digital currency rather than going through the traditional banking system. uBUCK Advisory Board Member Jon Malach presented at the conference (March 7, 2019). During his presentation, Malach explained that uBUCK is a cryptocurrency wallet that has fiat capabilities. Users are able to buy uBUCKs using either Bitcoin (BTC) or Ethereum (ETH), effectively converting and “storing” their cryptocurrency in a stable coin that is tied to the US dollar. Other digital currencies ebb and flow in price fluctuations, but by switching your funds to a stablecoin, a user can mitigate risk much more effectively. uBUCK users buy a prepaid voucher from the uBUCK mobile app. Not only are ETH and BTC accepted, but regular debit and credit purchases are also accepted in the app. Once a voucher is purchased, users can then load the uBUCK Debit MasterCard with their voucher credit. From there, sending or receiving money is as easy as using PayPal. The physical uBUCK black elite MasterCard can be used anywhere MasterCard is accepted, and cash can even be taken out from the card at any ATM. 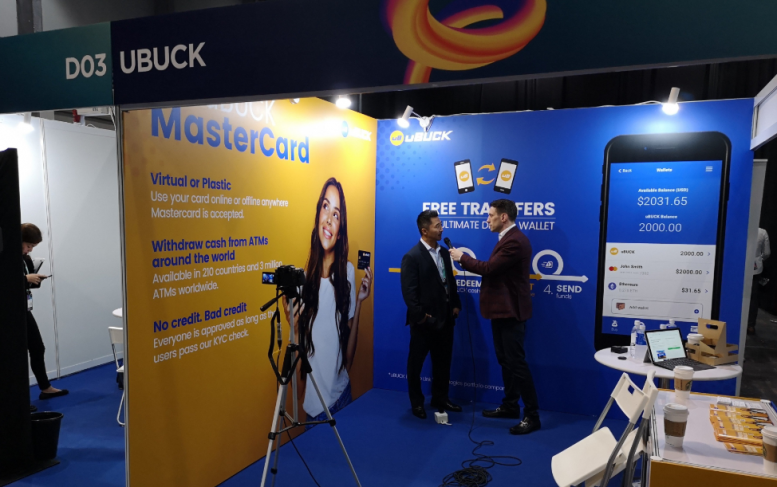 Aside from those banked that want to spend their digital currency, Malach highlighted that the 1.7 billion adults around the world could use the uBUCK Mastercard and digital currency wallet. Two-thirds of the global unbanked population have access to mobile phones, opening the door to mobile banking services for them. uBUCK could aid this population of people by allowing them to send money to friends or family anywhere in the world with pure convenience. Interested in finding out more about uBUCK? Click here.